India presented 9-point agenda on economic fugitives at the G20 summit. Recently, Government of India started preparations to curb economic criminals fleeing lakhs of rupees from Indian banks. 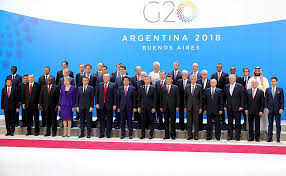 In order to prevent such crimes, the Prime Minister has made a concerted initiative with the G-20 countries to bring fugitive financial criminals to the court complexes. India has sought a strong and active cooperation from the G-20 countries to tackle the fugitive economic criminals, identify their identity, extradition and seize their properties. In order to deal with the financial widespread approach, India advocated a strong and active partnership, presenting a 9-point agenda on Friday, 30th November 2018 between 20 member countries. In the second session of the G20 summit on international trade, international financial and tax system, Prime Minister Narendra Modi presented his agenda. He said, 'confiscation of property of criminals like collaboration in legal procedures and their extradition should be ensured'. The PM said that the principles of UN Convention on International Cooperation (UNOCAC) and International Organized Crime Against Corruption (UNOTC), especially international cooperation should be implemented fully and effectively. Prime Minister Modi said, "The decision to set a standard definition of fugitive economic criminals should be assigned to the Financial Action Task Force (FATF). FATF should decide standard procedures for dealing with fugitive economic criminals, their extradition, extradition and prosecution, which all agree on. This will help in dealing with such cases in G-20 countries. India has also advocated creating a common platform for sharing successful experiences of extradition, the current system of extradition, and legal support, etc. Also, it has been said that the G-20 forum should start working on considering the properties of fugitive economic criminals. 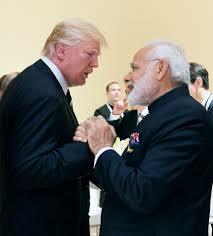 Simultaneously, India has called upon the G20 countries to create such a mechanism so that financial fugitives can be prevented from coming here and providing a safe haven. Further, it was decided -"Head of the United Nations Convention Against Corruption (UNCAC), United Nations Convention Against Organized Organized Crime (UNOTC), especially the 'international cooperation', should be implemented effectively."